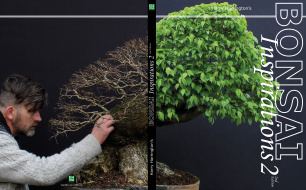 Within the Art of Bonsai, there are a number of rules or guidelines that are intended to help both the viewer and practitioner understand or learn what makes a good or 'bad' bonsai design. To the novice, a bonsai will be simply a tree in a pot; to the more experienced enthusiast, a good bonsai will have certain features that makes it superior. The beginner has to understand these rules in the same way that one has to learn what makes a Leonardo de Vinci painting better than a child's. These rules are not set in stone. They are there to help guide those new to bonsai and learning them can help the beginner begin to 'read' a bonsai rather than simply see it as a mass of leaves and branches. Most classic and many good quality bonsai will break ‘rules’; this helps to make them unique. However, until these basic rules are learnt, understood and mastered, it is difficult to break them with success. There should a greater mass of foliage behind the tree than in front of it to create a sense of depth. Man-made cuts or wounds should not be visible from the front unless created as features. The tree should be 3-dimensional, it should not appear 'flat' when viewed from the side. The tree should not appear to lean backwards; informal forms should have an apex that leans forward. Roots Roots/nebari should run flat along the surface of the compost and not be raised out of the compost (excepting trees grown in a true exposed-root style). Roots spread should reflect the form of the tree and appear to anchor the tree firmly into the compost; for trees with upright forms the roots should radiate evenly from around the base of the trunk, for slanting forms or cascades the roots should appear stronger on the opposite side of the trunk to the direction of lean. Roots should appear to be of a roughly even size as they emanate from around the base of the trunk; inferior material will display 1 or 2 disproportionately thick roots only. However, slightly thicker, stronger roots should be located at the sides of the trunk and should not protrude towards the front. Surface roots not be straight and should exhibit some taper and branching. With most forms, the trunk must taper from its thinnest point at the apex to its widest point at its base. It is preferable for the trunk to taper as gradually as possible. The trunk must not have inverse taper; that is to say the base of the trunk should not be thinner than any other point of the trunk. Half to two-thirds of the trunk should be visible from the front to reveal the structure of the trunk. Trunks with any slope in any direction should also slope at ground level. Grafted trunks should not be apparent unless inspected very closely. Informal forms should preferably have turns or bends that diminish in size and length as the eye travels from trunk base to apex. Trunks should be cleaned of algae and moss. Branches normally commence around one-third to half the height of the tree. The first branch should be the thickest with the branches thinning in diameter as they progress towards the apex. The first branch should normally point towards the left or the right when the tree is viewed from the front. No branch should lie directly above another. No branch should cross another. All branches should exhibit taper from trunk to tip. All branches should be shaped similarly to each other and should reflect the movement (or lack of) in the trunk. Normally, only branches in the top third of the tree should point directly forwards, towards the viewer. No two branches should appear from the same place on the trunk (bar branches). No two branches should appear to be at the same height. No branches should cross the trunk as seen from the front.